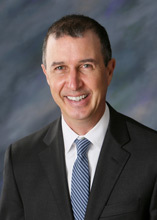 John has almost thirty years of experience in the executive benefits area and bank and corporate owned life insurance. From 1997 through 2004 he was the President and Chief Executive Officer of a nationally recognized executive benefit organization. Since that time he has been a consultant to banks as part of the M Benefit Solutions-Bank Strategies group of banking advisors the endorsed provider of executive benefits and BOLI for the ICBA. His expertise in the review of the legal, actuarial and financing of executive benefits and life insurance programs as well as timeline control and presentation ability to board committees has been obtained through completion of hundreds of corporate engagements and board presentations. John is a registered representative with M Holdings Securities, Inc. He is a current member of AALU. John is a member of ABA, ICBA and various state banking associations as well as The Financial Managers Society.